LCR (also known as "Left Center Right") is a popular and simple dice game that uses custom dice with an L, C and R printed on them. 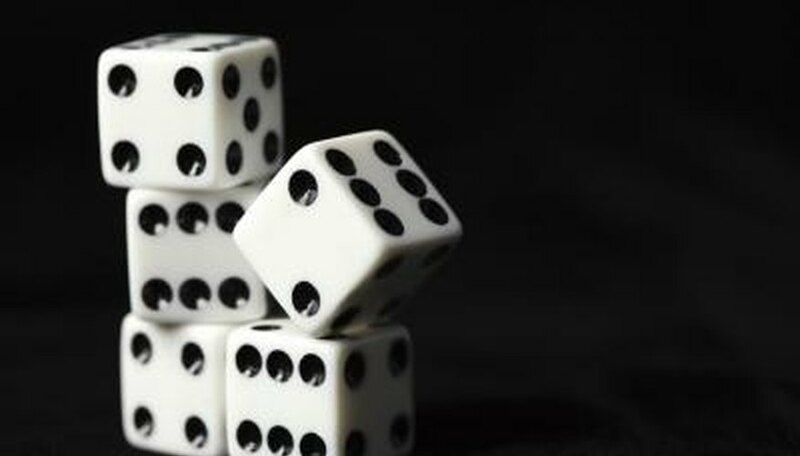 The game can also be played with three standard six-sided dice. Designate a starting player and hand him the dice. He will be the first to throw. He throws the dice one time. For each "1" he rolls, he will pass one chip to the player to his left. For each "2" he rolls, he will pass one chip to the player to his right. For each "3" he rolls, he will place one chip in the center of the table; this is the pot, which the winner will claim at the end of the game. Remove yourself from the game if you no longer have any chips. The circle should shrink slightly to account for your absence, so the players formerly on your left and right are now next to each other. Pass the dice to your left. If you have been removed from the game, pass the dice to the player who was formerly on your left. The player with the dice now becomes the active player, and takes her turn. The game ends when only one player is left holding all the chips or money. Playing for money makes the game more exciting. LCR is entirely luck-based, and does not have any strategy.